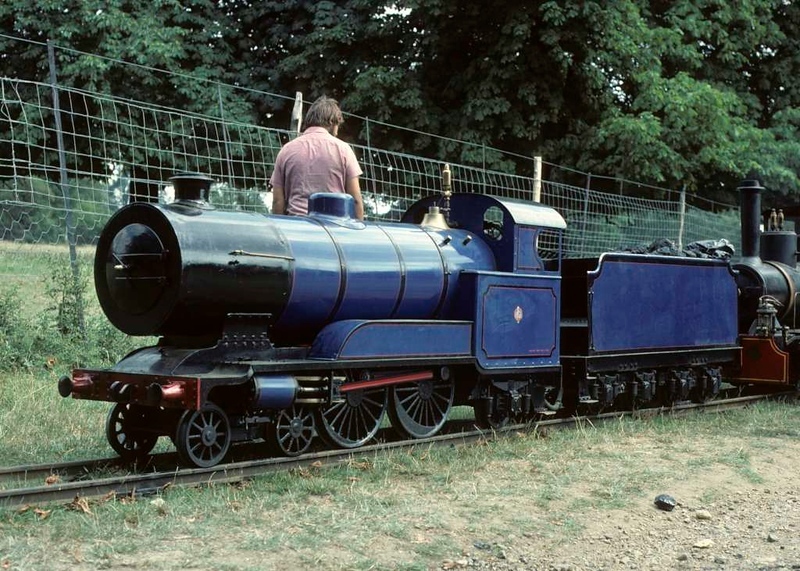 15 inch gauge Bassett Lowke 'Little Giant' class 4-4-2, Knebworth Park & Wintergreen Railway, 25 July 1976. According to Les Tindall's notes this loco was named Sedgefield at the time of this photo, when it was owned by Pleaseurerail and based at the Blenheim Park Railway in the grounds of Blenheim Palace. Its exact identity and its location in 2018 are unknown. Photo by Les Tindall.